In 1837, Ernest Augustus, the Duke of Cumberland and fifth son of King George III, became Ernest Augustus, King of Hanover, Germany, moving to Hanover and taking with him part of the royal family’s household music library. In 2008, Yale University’s Beinecke Rare Book and Manuscript Library acquired this collection, which is closely related to content dating from the same time period in the British Library’s Royal Music Library. The collection documents the musical life of a late eighteenth- and nineteenth century household and court in Britain and Germany, containing manuscript music books and bound collections of printed music, the archive of the Duke of Cumberland’s private band, and music given to members of the royal family by composers and others seeking patronage. It also shows a particular historical moment, in which ideas of monarchy were musically articulated within a royal household with its own unique perspective on what it meant to represent a nation. The collection, with call number OSB MSS 146, has been cataloged and contents can be browsed in the Yale Finding Aid Database. This blog accompanies a forthcoming exhibition on the Hanover Royal Music Archive, to be held at the Beinecke Library, Yale University, from October 1 – December 11, 2010. 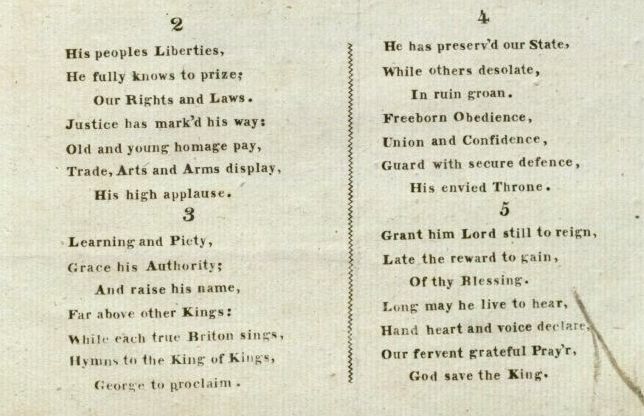 Curated by Karen Spicher, Archivist, and Kathryn James, Curator for Early Modern Books and Manuscripts, the exhibition will explore ideas of patriotism, nationalism, and musicality within the Hanover royal music library. The blog will highlight resources relating to the exhibition–including recordings, images, and links to other collections–and offer a forum for discussion of the collection and exhibition. We invite you to share your comments, and to explore the collection itself through the exhibition and exhibition blog.